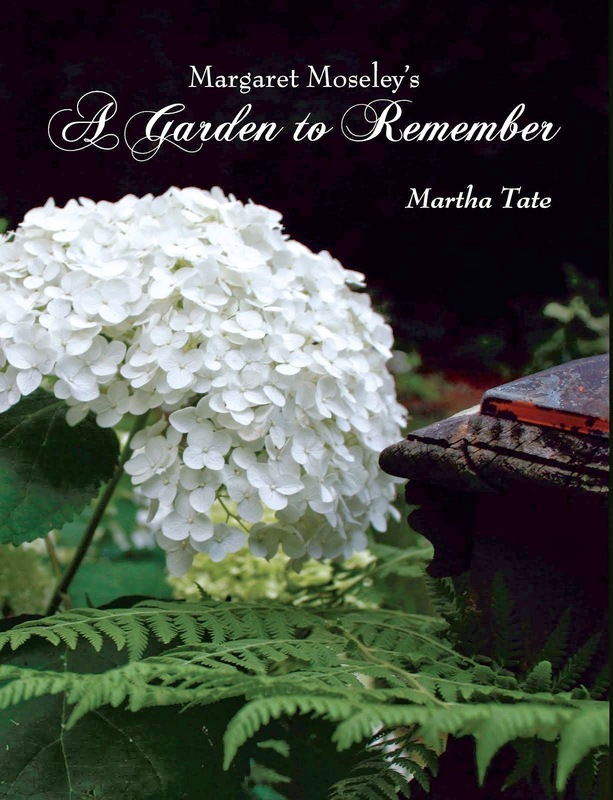 In 1991, a photographer from the Atlanta Journal-Constitution and I set out on a mission to write a garden book. At the time, I was writing each week about gardeners. I was fascinated by the fact that many people devoted their lives to a specific plant or genus of plants. For example, I had a cousin who traveled all over the world to camellia shows. He even had a camellia named for him. Our idea was to go around the Southeast and find as many specialty gardens as we could. We had a publisher in Atlanta who said she could not give us an advance, but she would publish our book. So, we started up Interstate 85, and our first destination was Charlotte, North Carolina. The area had been hit hard by Hurricane Hugo, which had barreled into the South Carolina coast and headed inland. So, our first gardener apologized profusely for so many downed trees that had not yet been cleaned up. His specialty was rhododendrons. My friend had some donated film and snapped hundreds of pictures. Meanwhile, I wrote furiously every word he said about growing rhododendrons in areas where summers are hot and humid. We had already pre-planned that each chapter would contain a list of the top ten selections for the Southeast. A couple of weeks passed, and we headed back up the same interstate, this time veering off to another place in North Carolina. This is the garden that changed our lives. Set around a 19th century frame farmhouse was a huge rose garden. The octogenarian creator of this expansive garden had begun years before rescuing old roses from construction sites and gathering cuttings from cemeteries and old homesteads. She called the main part of the garden where these roses grew "The Sanctuary". When you walked through the gate above, though, you walked onto large lawns bordered by masses of antique roses that she had collected from around the world. If it hadn't been for the hideous stinging deer flies, this would have seemed like a wonderland. I had only a film camera at the time (my professional photographer friend was taking slides), and my pictures could not begin to capture the beauty of the place. Also, there was no way to describe the delicious fragrance in the air. I remember passing down rows of huge, billowy roses that looked like they belonged painting by Redoute´. Roses cascaded from trees and smothered fences. It was an incredible sight. On the way back down I-85, my friend and I started talking. It's too bad that everyone couldn't have seen what we just witnessed. The only garden show on TV at the time was Victory Garden, we noted. On that series, you'd get a very short, maybe six-minute tour through a garden. Why not have a television show that would give an in-depth visit to the garden? You'd get to know the gardener, find out all the tips for growing roses like that, and you'd be inspired to take some of the ideas and apply them to your own back yard. It would be a sort of "Charles-Kuralt-visits-the-garden". By the time we got to Atlanta, we had composed a letter to Ted Turner, the only TV mogul we knew at the time. I won't go into how this all unfolded, but with another friend, we created just such a show called A Gardner's Diary. We featured only one garden for the entire half hour (actually, 22 minutes and 53 seconds). And, we managed to get it aired on Home & Garden Television (which was just launching; we were one of the original shows that launched with the channel). On Sunday, our minister was talking about how one event could change the world. 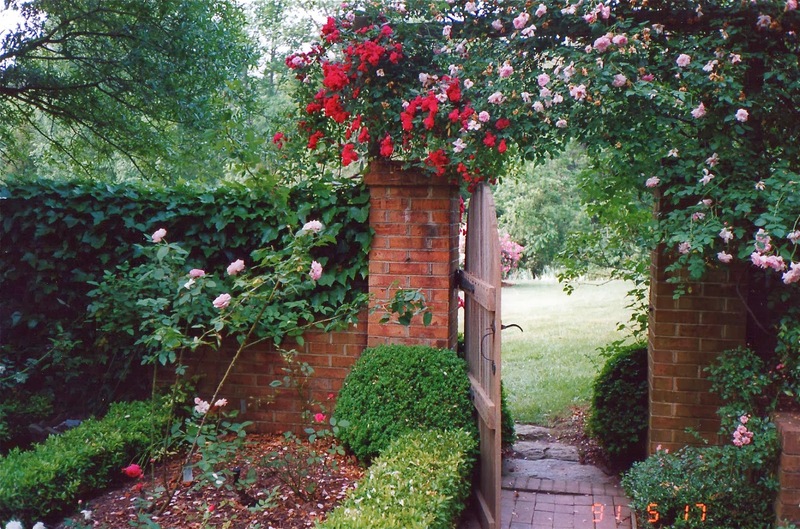 Many events have changed my world, but one of the most important was walking through that rose-covered garden gate. It was a lucky day for me, and I'm glad to say I haven't encountered any deer flies since. They almost kept me from staying in that garden long enough for it to lead to something important and life-changing.